The story of the first custom made Focale 44 titanium frame: A customer from Singapore wanted a titanium equivalent of his Focale 44 Noble steel frame. He asked for two details: Bottle cage bosses on the down tube and cable stops under the top tube. So his dream took shape. Now it’s your turn. Read the answers to questions you are about to ask. Everything or almost everything. It can be a specific geometry, if you are after an uncommon size or if you want a pursuit frame for example. It can be technical details on the head tube, bottom bracket, rear dropouts, seat clamp, tubing shape. We are also open to requests on frames other than fixed-gear. 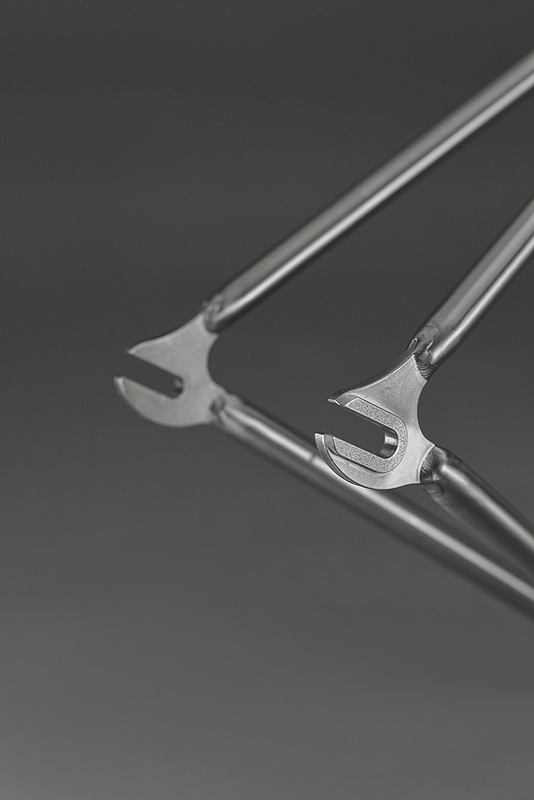 If you need a frame with 130 mm spacing and a derailleur hanger, we can make it for you. 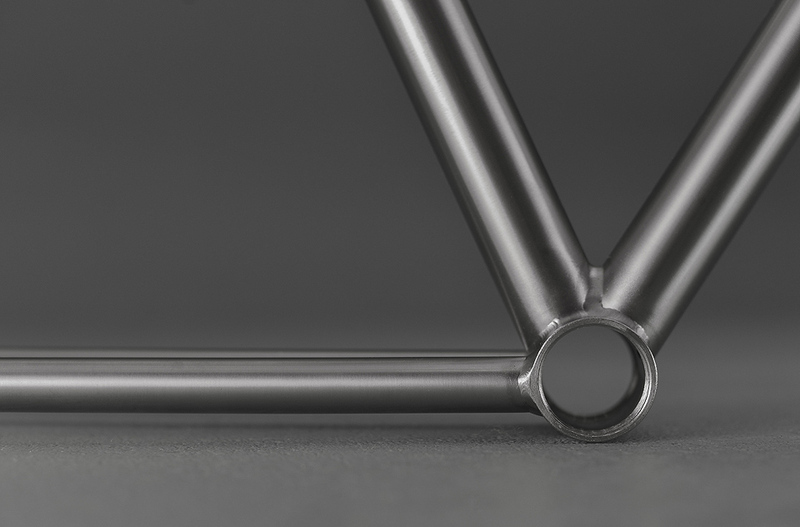 And of course, if you just want a Focale 44 titanium frame with no particular detail, we can do it based on our steel frames geometry. What kind of finish recommended? We suggest a unique finish and the noblest : brushed titanium. Titanium does not rust, so better to leave it in its natural color. Is it possible to request a specific logo or labeling? Yes, we can add a text or a simple logo on the frame. 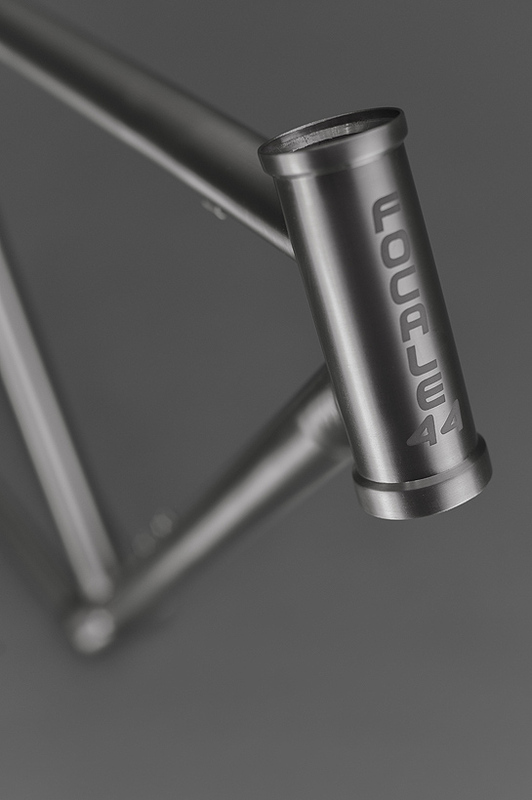 This will be sand blasted as the Focale 44 logo on head tube. How much does the frame weight? 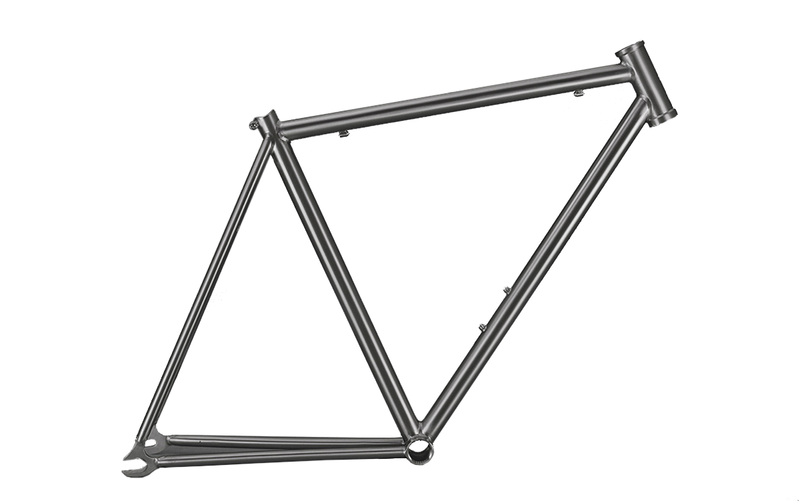 That first custom made titanium frame for our Singapore customer weighs 1330 g (2.94 lbs). Do you also produce titanium forks? Where is titanium frame manufactured? A european factory will be in charge of the realization of your frame. This experienced factory can do everything and the quality of their craftsmanship is excellent. Frames start at 1350 €. 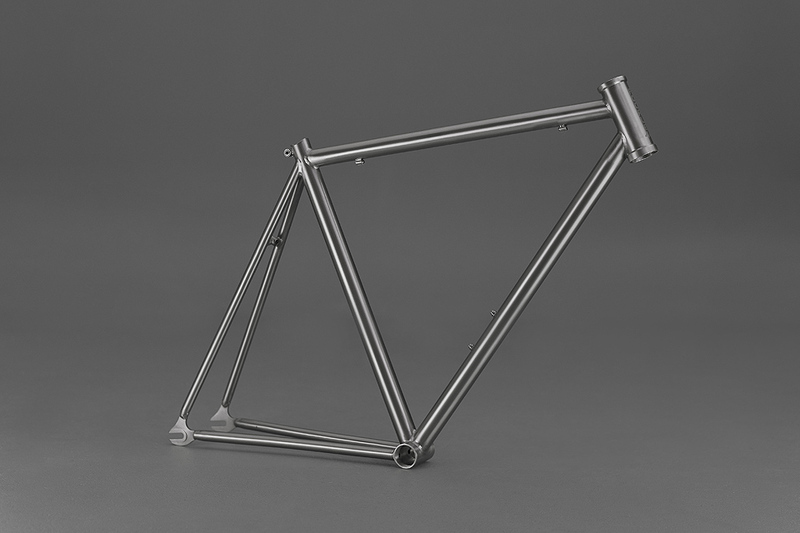 This is the price for a Focale 44 titanium frame, basic version, inspired by Focale 44 steel frames. Geometry options do not affect the price much. Technical options do raise the price though. How long does it take to produce the frame? 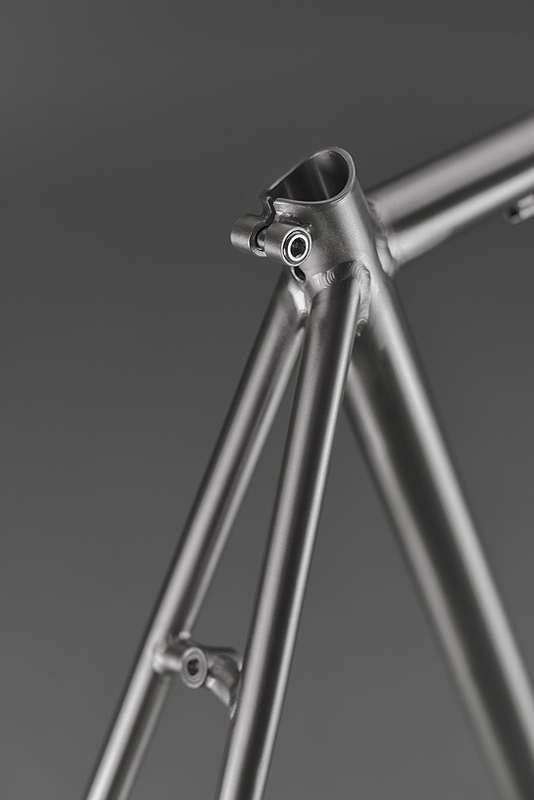 It takes about three months to manufacture a quality titanium frame. This is counted from receipt of your payment until shipping. Since the frame is custom built for you, full payment is requested at order confirmation. Payment methods : Paypal or bank transfer. How will my frame be delivered? Your frame will be carefully packed and shipped by express carrier. Expect 3 to 7 days depending on your country of residence. For answers to questions we have omitted to state above, please contact us.